EXERCISE WHICH IS BETTER FOR YOU THAN RUNNING AND MANY OTHER FORMS OF EXERCISE. Most of all though, it makes you smile, laugh, and it’s great FUN! This has proven health benefits in itself as it generally means that you will enjoy doing it, and therefore continue doing it. Trampolining is a great holistic health giver, bringing both physical and mental benefits to adults and children alike. Trampoline exercise has many important health benefits, some are listed below. There is a heap of information and studies out there in Google-land, so check it out! It provides a vigorous aerobic workout, getting your heart to increase the rate at which it pumps blood around your body. It also strengthens the muscles needed for a healthy cardiovascular system. 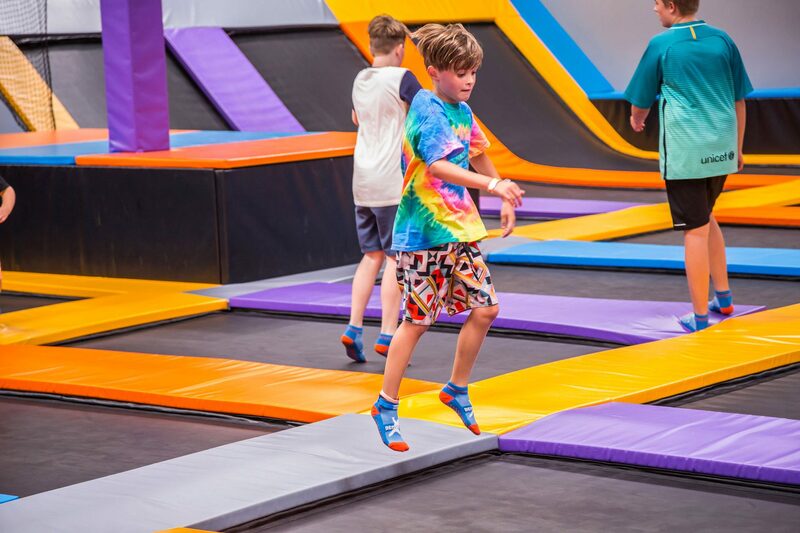 Trampolining is a low-impact exercise, because the bouncy mat absorbs the force when you land, preventing jarring of your ankles, knees, hips, and spine. It’s easier on your joints than running or jogging. Jumping on a trampoline burns calories. It can also boost the rate at which your body metabolises food, which will help it to burn fat. The lymph system, which carries toxic substances out of your body, needs gravity and body movement to work properly. Bouncing on a trampoline stimulates the lymphatic drainage system to get rid of toxins, bacteria, and waste from your cells, effectively cleansing them. More oxygen flows through your body when you bounce on a trampoline and this can result in a rise in energy levels. Meanwhile, getting extra oxygen to your brain can improve mental alertness.